Good afternoon D-Heads™, Christmas is upon us and this is the time of the year to have fun and spread that Holiday Magic. 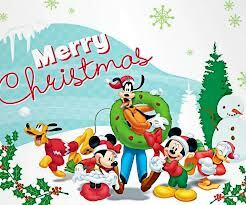 We all recall those Classic Cartoons, Christmas Songs, the Very Merry Christmas Parade, Wonderful World of Disney, Mickey Mouse Club Episodes and more that made Christmastime Special in our hearts. To keep the cheer going, we have updated out DTV section of our FREE DIZRADIO APP with all Christmas Gems you remember growing up with. Who can forget those Christmas Bumpers between commercials during the parades, or the Muppets having a Family Christmas. Well we have it all. So MERRY CHRISTMAS and go and enjoy our app by CLICK HERE and get DIZRADIO in your hand!